Code Fellows boasts an 80% in-field placement rate and $70k average starting salary, but how exactly is Code Fellows getting graduates into developer jobs? We chatted with their Director of Partner Relations, Elizabeth Scutchfield, and Head of Instruction, Brian Nations, to learn more about the Code Fellows Career Accelerator program, their hiring partner relationships, and how they help grads land roles at Microsoft, Amazon, and Expedia! Elizabeth, you’re the Director of Partner Relations at Code Fellows – does that mean you work with a lot of employers? Elizabeth: I do work with a lot of employers, in fact in the last six months 65 industry partners have engaged with the Career Accelerator program by either hiring our grads or engaging in our various Employer Services. My background is in recruiting and human resources and I’ve also worked in higher education. I've learned about the skills gap between what universities are producing and what the industry needs. So when I moved to Seattle two years ago, I intentionally wanted to work at an immersive software development training program. Coding academies meeting a real need from an economic and skill development standpoint. And that's what led me to Code Fellows. I really resonated with Code Fellows’ mission and vision to help underrepresented populations make that pivot into tech. My job is about building strong relationships with the community at large in Seattle, which includes industry partners. We ensure that our graduates’ skills align with the needs of the local job market. We see ourselves as a steward of the Seattle tech community and iterate on our curriculum to meet industry needs. Brian, you’re the Principal Instructor at Code Fellows – how did you learn to code? Tell me about your journey to becoming Head of Instruction at Code Fellows. Brian: I'm a product of the nontraditional coding path. I worked mostly in the customer service space for roughly 15 years after I graduated high school. 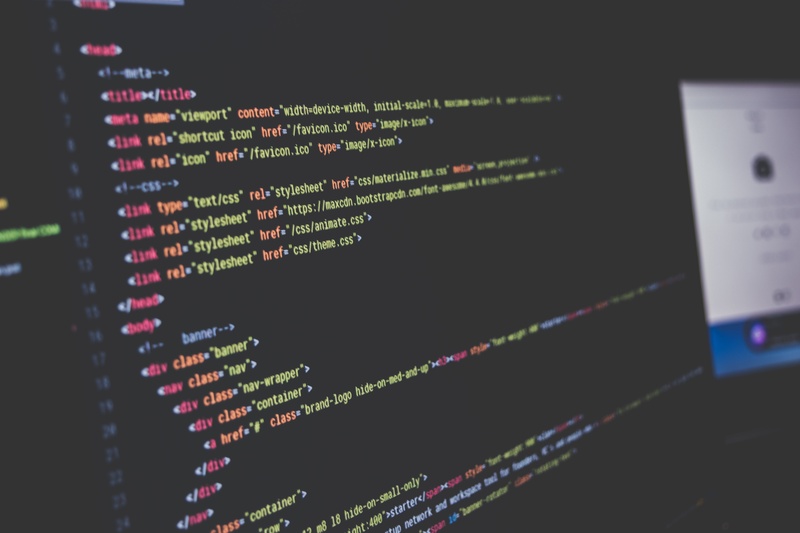 In 2011, I took a basic web course that introduced HTML and CSS – within the first 30 minutes of class, my mind was blown and I thought, "I'm doing this for the rest of my life." I took a low-paid apprenticeship with a small development company in Charleston, South Carolina. Then I moved into a senior developer role at a larger enterprise level ecommerce agency. How large is the career placement team at Code Fellows? When does the job search process start? Elizabeth: Our Career Transition Services Team consists of myself and Rachel Burke, our campus manager. Rachel gets students ready to find a job during the time we have them in classes. Post-graduation, I connect graduates to our industry partners through our Career Accelerator Program. Rachel equips students with the right soft & professional skills and then I'm putting them in front of the right people that open doors for them in the market. Code Fellows follows a modular curriculum: a 201, 301, and 401 level. We used to start the career coaching workshops in our 401 (advanced level) course. But we recognized that to build out their narrative and personal brand, students needed to start really reflecting on that as early as our 201 level course. This year, our 201 and 301 classes have a variety of assignments built in for people to start that professional job search orientation. In our 401 level course, there are three different career coaching workshops. Do Code Fellows students all have the same career goals? What are they? Brian: Generally, the goals for our students vary. Most students are looking for a career and lifestyle change – "they found that technology skills have empowered their friends and family members, so a lot of students are interested in making that pivot themselves. On the other end of the spectrum, a lot of our students are just interested in learning to code. Regardless, we position our curriculum so that graduates can find jobs in tech. From my perspective as an instructor, most students are looking to change their lifestyle overall. They want an open and free lifestyle to do something more interesting versus the jobs that they had in the past. Tell us more about the Career Accelerator program – how does that help students? Elizabeth: First, we equip students with the tools, resources, and strategies they need to conduct their own job search through the Career Coaching provided in the curriculum. The post-grad Career Accelerator program is designed to help students find jobs and build connections in the industry. The reality is that 70% of available jobs actually never make it to a jobs board. It's a very competitive market for junior developers, and we have to get students in front of the right people to tap into that hidden job market. To do this, we invite our industry partners to events like behavioral and technical mock interviews. Students have opportunities to engage with industry mentors weekly at our Community Programming Night, where graduates and project teams build out their portfolios and work on projects to enhance their coding skills post-graduation. Also, our recruiting contacts do portfolio reviews, give feedback about how to best present as a candidate. All of these activities build a network for these individuals who can advocate for Code Fellows alumni in the industry. We also host networking events where students go on site to different employers like Google, Ratio, and Avalara. We also have software testing workshops, where our grads get to poke and prod on a certain product or feature that a company has. Companies and industry contacts sponsor some of our demo day projects, which is a really great way for us to facilitate connections. We get our grads in front of the right people so that they can demonstrate their capabilities and continue to help the industry embrace nontraditional talent. How does Code Fellows teach technical interview prep? How would you prep a student for that type of interview? Brian: Since whiteboarding and interview preparations start as early as 201, we have students focus on fundamental programming concepts that can be utilized and discussed in a whiteboard interview. In 301, we take that up a notch and make it a code challenge scenario where we give real interview questions that a lot of junior developers may receive. At the 401 level, courses have a huge integration of computer science and algorithmic fundamentals built into them. We teach brand new data structures every single week and have a ton of challenges that are utilized individually, as pairs, and then in mock interview settings. In order for someone to pass our 401 level course, and actually make it into the Career Accelerator program, they have to pass a rigorous final whiteboarding exam. We use a pretty detailed rubric, and if they pass that exam in addition to the Qualifying Interview, they make it into a Career Accelerator program. So the interview prep phase starts really early on in our classes and that cascades all the way through the end of the Career Accelerator program. Elizabeth: We host on-campus mock interviews with our alumni who have transitioned out into the industry as well as our industry partners, which includes whiteboard interviewing. In addition to that, we also allow companies to host mock interviews on-site at their location. This allows our industry partners to conduct their existing interview loops, with our grads and provide the participants with feedback on how they perform. We allow those companies to do whatever their existing interview process is – sometimes that's pair programming and sometimes it's whiteboarding. When graduates are job searching, what’s most important – an online digital presence or networking? How do you recommend graduates spend their time when trying to find a job? Elizabeth: There's nothing that takes the place of an in-person connection because ultimately it is really not about who you know, but who knows you! This is how I tell students to prioritize and direct their energy: "Get out to networking events and meetups and connect with people who are passionate about the same thing you're passionate about. Then leverage online tools to manage that relationship." If certain people are really adept at social media and want to use that to get their brand out there and engage with thought leaders – it's always a useful tool. We actually had a speaker today who talked about a candidate who reached out directly through LinkedIn, and they ended up getting an interview as a result of that. So certainly, that helps. But there’s so much noise online to make the best impression that you need to make. It often really benefits most students to meet others in person. What type of advice do you give students who are considering multiple offers? Does Code Fellows help with salary negotiations? Elizabeth: Rachel covers salary negotiations very heavily in the career coaching curriculum. 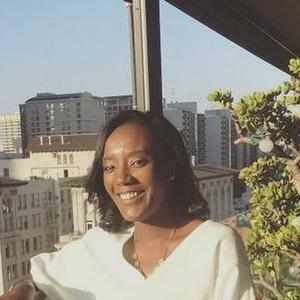 She gives students great tools to research the job market and using that as a mechanism to tell an employer, "Based upon my research, this is what the market is saying the value of somebody with my skill set is." We empower students to have the information they need to advocate for themselves in that conversation. Brian: We have modularized our career coaching sessions, so concepts like offer and negotiation discussions happen multiple times in each course. In the 401 level, there is roughly a full day where Rachel works with students on a one-on-one basis and as a group to go over the process of offer negotiations. What types of jobs would your graduates be qualified to apply and thrive in? Can graduates of Code Fellows apply for a job listing that requires a computer science degree? Elizabeth: We find our grads land in positions like Software Engineer, Associate Software Engineer, Web Developer, Front End Developer, and Full Stack Developer. The tech industry often says “CS degree required,” but we still encourage our grads to put themselves in consideration for those types of opportunities. Networking can really help to overcome any bias against a nontraditional candidate. Brian: We know that some companies are primarily looking for computer science grads, so we've done a lot within our curriculum to really counterbalance that and make sure that our graduates are well-prepared not only for the interview process but also for the day-to-day work. Our graduates have a lower level understanding of those computer science fundamentals, which could be a barrier to entry into the job market, but we work with them intently to make sure they can go up against that barrier. In terms of generic whiteboarding skills, our graduates are generally on par with other computer science graduates in the area. What companies have hired Code Fellows graduates? Why do employers like hiring from your graduates? Elizabeth: We have over 400 hiring companies that have hired Code Fellows grads. We've been around since 2013 so there are about 1,000 Code Fellows grads working in the market. Graduates are evenly distributed between startups, midsize and enterprise companies. Some of the bigger hiring partners include Microsoft, Amazon, and Expedia – they’ve each hired around 30 Code Fellows grads. Our grads work as Software Development Engineers at Amazon; Software Engineers at Microsoft; an Associate Software Development Engineers at Expedia; Software Engineers at Nordstrom. We have grads working at Zillow, Zonar, Alaska Airlines, and Avalara. Are employers looking for specific programming languages and soft skills from your graduates? Is Code Fellows still active with CIRR? How does it help keep your team accountable at all? Brian: We're a big fan of CIRR, and use some of the foundational elements of the CIRR standard in our placement tracking processes. 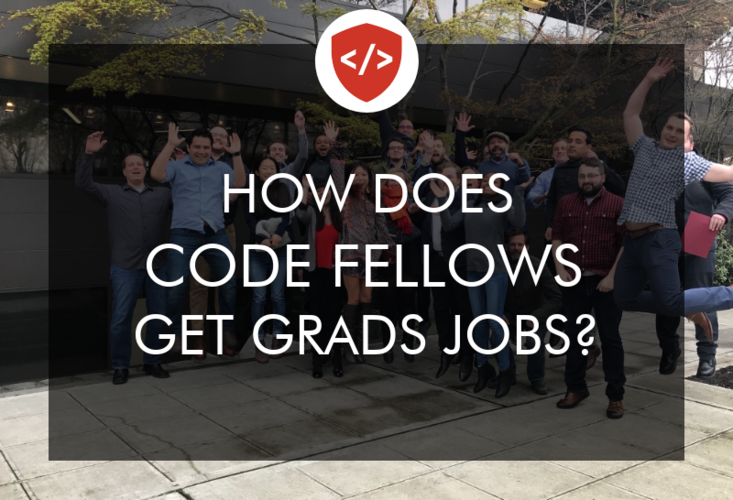 How long does it take Code Fellows students to land a job after graduation? How long do you continue helping your graduates after they graduate? Elizabeth: According to our most recent job placement figure, it takes 11 weeks. Code Fellows graduates see an average starting salary of $70,000. Brian: Our support for students is ongoing. Once they graduate, they go through a qualifying interview process, then they make it into the Career Accelerator program. That's when we give them detailed support – working with them on a daily basis, checking in on them, doing mock interviews, connecting them to events, and so forth. That support is really integral on our end and on their end post-graduation. Even after our graduates are working, we still have a family vibe at Code Fellows – if you're a student here, you're always going to be supported in some way, shape, or form. We have done a number of things to build the community among our alumni, and our Career Accelerator services are available to this population as well. Ultimately, we now have the infrastructure to support graduates three or four years into the industry. Read more Code Fellows reviews on Course Report. Check out the Code Fellows website!